G — 152 — My Husband, James Quimby, died Dec. 9, 1856, aged 38 yrs. 7 mos. 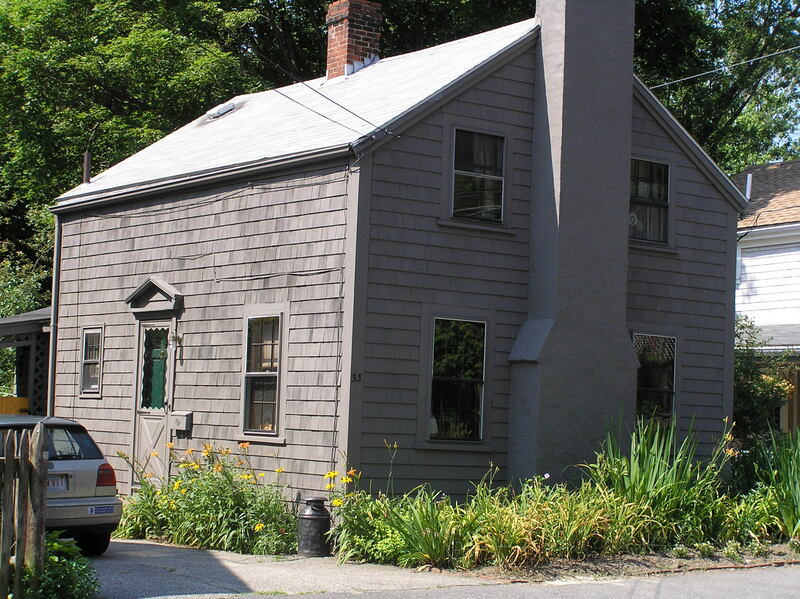 A lot granted to John Baker in the area of 33 East St on the north and south sides was known as the “clay pitts meadow.” John Baker sold this property to John Harris, and the meadow descended from John Harris to his sons. It was owned by John, then by John and William sons of John, and John sold his part of it to John Jr., Dec. 22, 1742. John Harris’ heirs owned the lot in 1832. His widow, Mary, sold the lot, or part of it, to Joseph Wait. Joseph Wait also bought a building, built for a grocery store by James Quimby on the corner of East and County Streets, and moved it to a place on his lot in 1850. 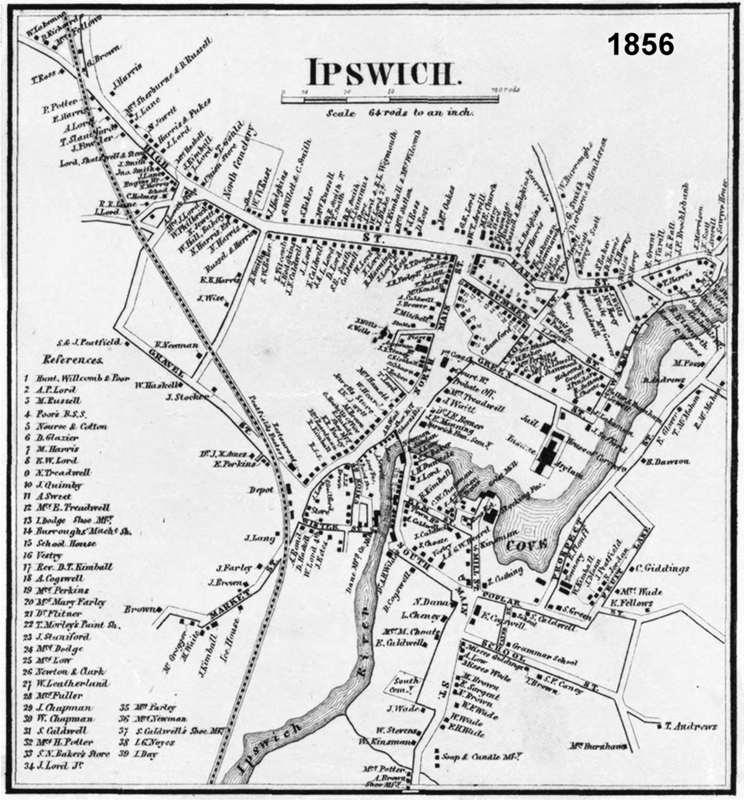 That is the building which is now at 33 East St, known as the “Old Store.” The 1856 and 1872 Ipswich Village maps both show that J. Wait owned 33 and 35 East St.
Joseph Wait’s home at 35 East Street continued in the family and is known as the Luther Wait house. Rebecca D. Wait, widow of Joseph, and others sold to Luther Wait and others, children of Wm.R. Wait, the house and land. 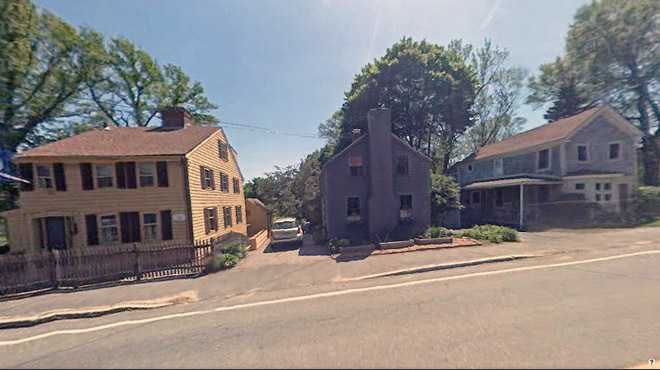 The Luther Wait house is on the left, the Insane Asylum wash house on the right, and the “Old Store ” in in the center of this view of East St.
Benjamin Dawson died May 15, 1861, aged 78 yrs. Martha, His wife, died Sept 16, 1871, Ahr. 84 yrs. 6 mos. 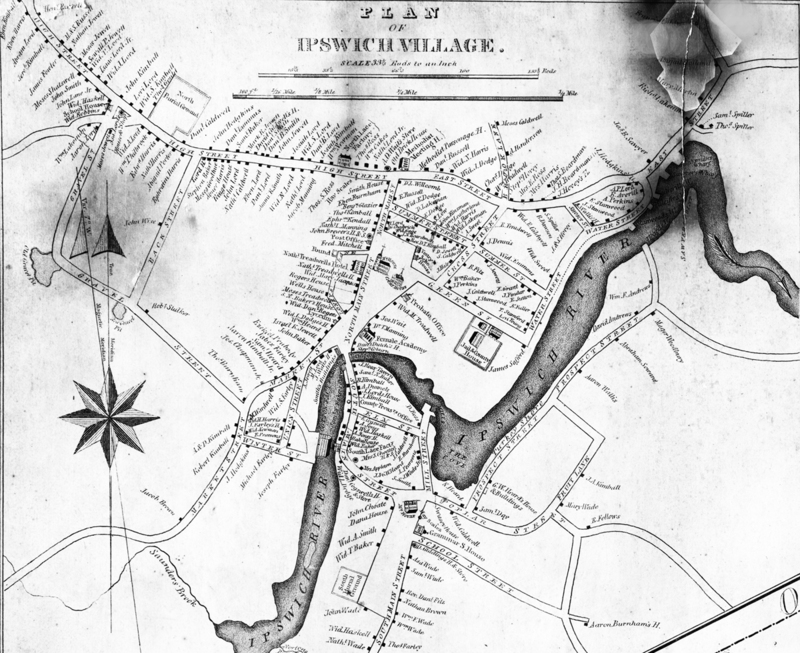 The 1856 Ipswich Village Map shows Elizabeth Caldwell at 27 East, followed by two houses owned by Wait, then J. Wells, and Hovey at the corner of Scottons Lane. In 1872, S. Hunt now lives at the Widow Caldwell’s house, G.W. 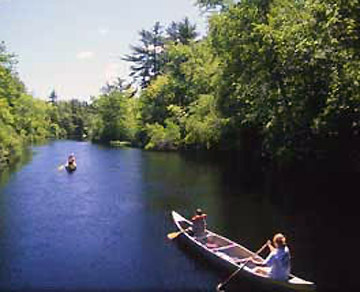 Falls is at 31 East St., the J. Wait estate at 33, and Mrs. Hovey still near the corner of Scottons Lane.